Apple 3D touch is not only for access Apps functions by Shortcut way; but it is also useful to Clear All Notifications in iOS 12 at once, switch between apps. Apple’s four models of iPhone family have 3D Touch feature such as iPhone 6S and later models. Though if you have one model out of four, then you are eligible to dispose all notification at once, I will learn you here trick how to do it. Remain iPhone models have no 3D touch since even have updated iOS, then the user can’t get clear all notifications tab. Therefore, users have to compulsory delete notifications one by one. Step 1. 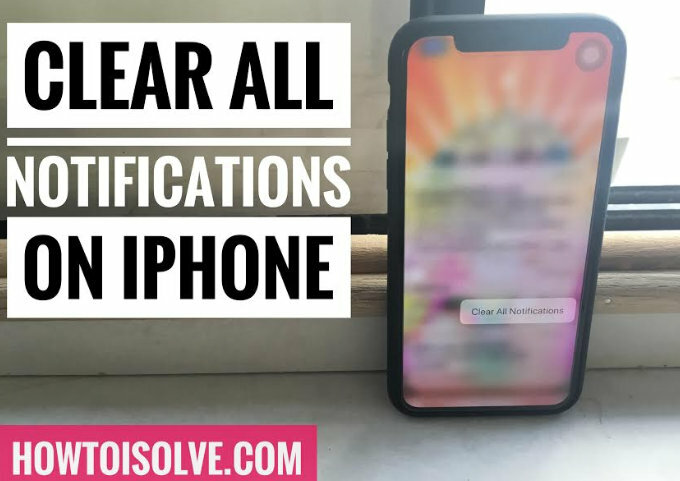 Launch Notifications Center on your iPhone by swiping down the screen on your iPhone XS Max, XS, X, 8 Plus, iPhone 8, iPhone 7, iPhone 7 Plus or iPhone 6S, 6s Plus. Step 2. Now you will have to gently press and hold on the X button top of the Notifications Center. Step 3. You’ll get a Clear All Notifications option, Tap on Clear All Notifications. It’s a hidden feature so not almost users are unfamiliar with it. Hence, if 3D, touch not working to delete notifications, please check out that 3D touch is enabled on your iPhone. Still, there is a no way I found to delete/ remove all notifications without 3D touch. If whenever we get an idea or app, then I will update you. In addition, if you got a trick to do that please don’t forget to share in the below comment box. Drop your reply and be helpful for others. Did you have any issue Clear All Notifications in iOS on iPhone using 3D touch? Let’s know us; we will help you to resolve it. Share on Facebook, Twitter.